If you have not yet discovered the world of cryptocurrencies, in the next few years you almost certainly will, as they are the latest phenomenon to take the financial markets by storm. And they follow in the footsteps of binary options. But like all new instruments and markets, there are many pitfalls and traps for the unwary, and even more so here. And for many reasons. First, we have an unregulated market, and one which has no central exchange with no transparency, and little in the way of investor protection. Second, we have a group of instruments that are extremely volatile. Third, none of the major regulators have been able to agree on how to classify and regulate this instrument, with some suggesting it is an asset, others a commodity, and to some a currency. Finally, and perhaps most worryingly of all, hundreds of new cryptocurrencies are being launched weekly, adding to a market that is already chaotic and largely driven by the fear of missing out. Many have already suggested this is nothing more than a replica of the dot com bubble or tulip mania, and one which will all end in tears. So, what are the facts? Should you even consider this market, either as an investor, speculator or trader? And if so, how you can make logical common sense investment or trading decisions in such an uncertain market. In this book, I aim to show you how, whether your purpose is to invest for the longer term, or to trade the markets intraday. 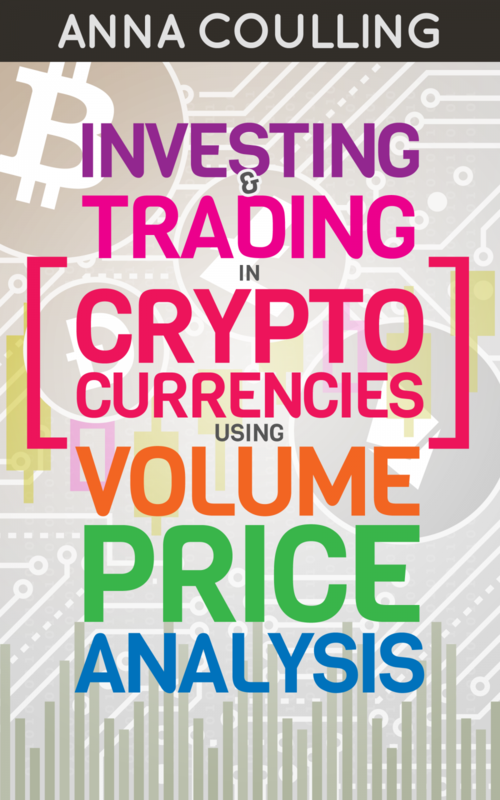 And the only approach which can give you the insight to anticipate future market direction with confidence for cryptocurrencies, is by application of volume price analysis. In the world of cryptocurrencies, volume represents the buyers and sellers in the market, and so takes us directly to the heart of supply and demand, as described in Wyckoff’s first law. The application of volume price analysis can be traced back to the iconic traders of the past. Trading greats such as Charles Dow, Jesse Livermore, Richard Wyckoff and Richard Ney. All used volume and price to build their fortunes. Today, we have brought this methodology up to date, and based it on the codified laws of Richard Wyckoff. 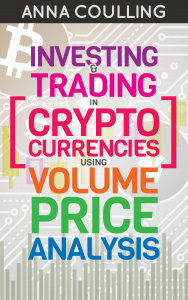 Here you will find over 100 worked examples in all timeframes and for a variety of the most popular cryptocurrencies, clearly annotated and with detailed descriptions, to demonstrate how you can leverage the power of volume price analysis for trading this market. And better still, it is an approach you can apply to your existing trading style. There is no need to change or abandon your existing approach, something many of my readers have confirmed with their public comments on my other books on Amazon.